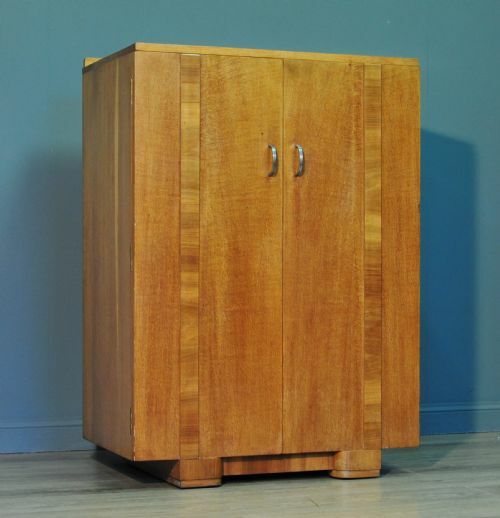 Attractive small vintage oak tallboy. 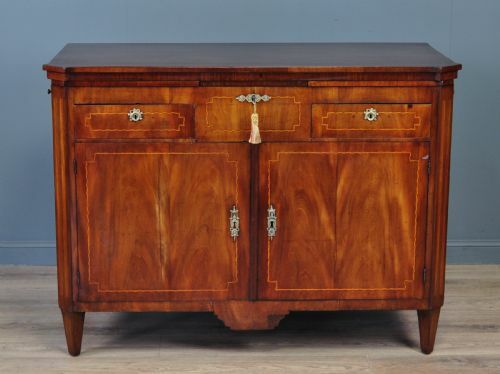 A lovely Art Deco tallboy. We date this cabinet to the first half of the 20th century. The tallboy sits on Art Deco style feet and the top surface has a small gallery to the rear. The front of the tallboy is of a two panel design, with each panel being a side hinged door. They have been been veneered with well matched finely figured oak. The right hand door is fitted with a catch. The left hand door is secured with a lever bolt at the rear. The interior of the cupboard is fitted with wooden shelves. The tallboy has an overall height of 43.5" (111cm), a width of 30" (77cm) and a depth of 19" (49cm). 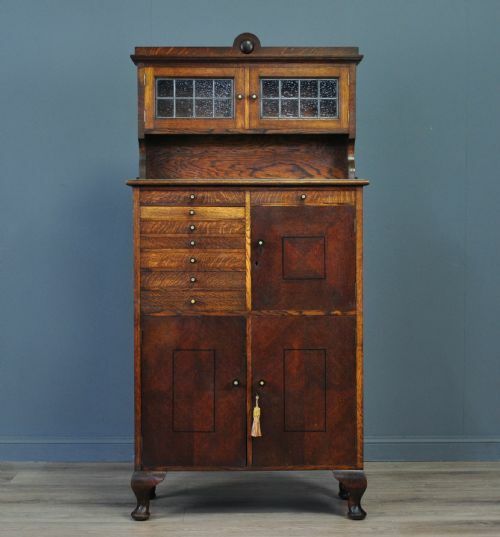 This lovely tallboy remains in very good solid condition with only very minor surface markings commensurate with age and usage, including a few very minor marks to the finish. There are a couple of small dark marks to the top surface from past use. 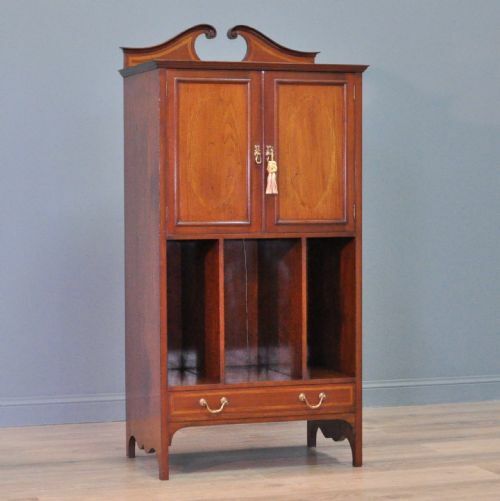 This remains a very stylish and elegant tallboy which will continue to provide good service for many years to come.